As one of the most common types of overuse injuries, tendinitis is known for causing chronic calf, heel, and overall lower leg pain. 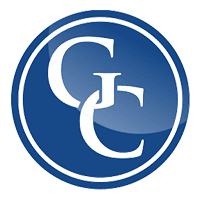 With their expertise in cutting-edge foot and ankle solutions, Les J. Glubo, DPM, FACFAS, and Mohammad Rimawi, DPM, AACFAS, of Grand Central Foot Care can help. They and the entire caring podiatry team offer comprehensive tendinitis treatments at their New York City office, near Midtown East and Murray Hill. Book your appointment online today, or call the clinic. Your Achilles tendon is the long band of connective tissue that links your calf muscles at the back of your lower leg to your heel bone. Being able to extend your foot and point your toes to the floor are all because of your Achilles tendon — it’s the thickest and longest tendon you have. You’re also more likely to develop tendinitis if you have chronic inflammatory disorders, such as psoriasis or even high blood pressure. Achilles tendinitis is generally relatively simple to diagnose based on symptoms alone: It’s known for causing severe lower leg and heel pain. Usually, the discomfort you experience starts as a mild ache above the back of your heel, particularly after running, exercise, or sports. The longer you participate in the activity that’s causing your tendinitis flare-up, the worse your discomfort is likely to get. Plus, you may also feel stiffness or tenderness, particularly when you take your first steps after waking up or after long periods of sitting. Dr. Glubo and Dr. Rimawi know how uncomfortable Achilles tendinitis can be and work to both relieve current inflammation and help your tendon heal. They use a digital diagnostic ultrasound system to help determine the severity of your injury and rule out other issues. For severe tendinitis, you may need a controlled ankle motion walker, which is available right in the office. 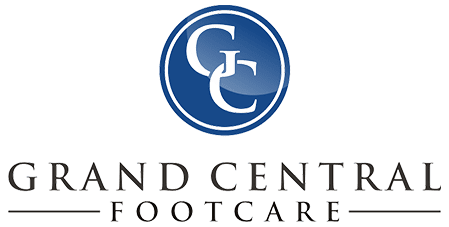 The team at Grand Central Foot Care can even help you get set up with physical therapy. Dr. Glubo and Dr. Rimawi have a great repertoire of physical therapists around the area. If you have unbearable tendinitis pain, see how the team at Grand Central Foot Care can help. Book your appointment through the online scheduler, or call the office directly.